Introducing the fourth-generation Chevy Silverado. The 2019 Chevrolet Silverado is all-new from the ground up. Fresh on the heels of celebrating 100 years of truck building, Chevrolet has a new Silverado pickup truck to launch its second century. The fourth-generation Silverado is new from the ground up, although its changes seem more evolutionary than revolutionary. This means Chevrolet did not break new ground by choosing an aluminum-intensive body as currently offered in the Ford F-150. Instead, steel usage continues to dominate and that’s a good thing too as aluminum prices have fluctuated wildly this year. 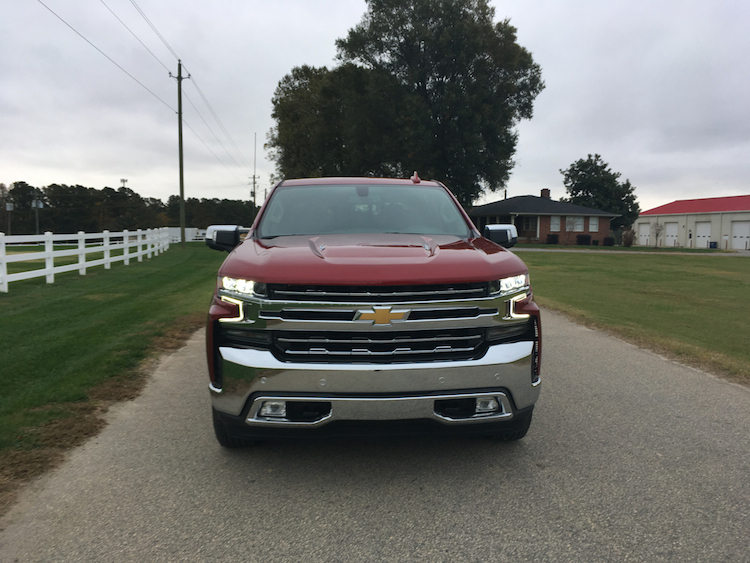 The 2019 Chevrolet Silverado offers a familiar silhouette, though the front fascia features the most comprehensive rework to the exterior. 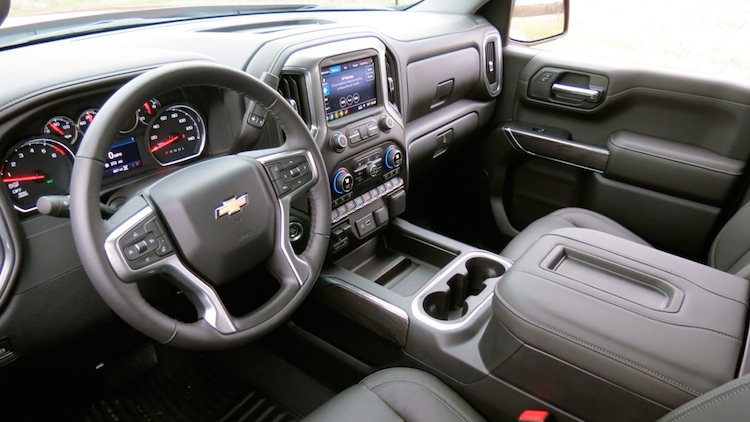 The interior doesn’t break new ground, but the updated technologies include the latest-generation Chevrolet infotainment systems and connectivity. 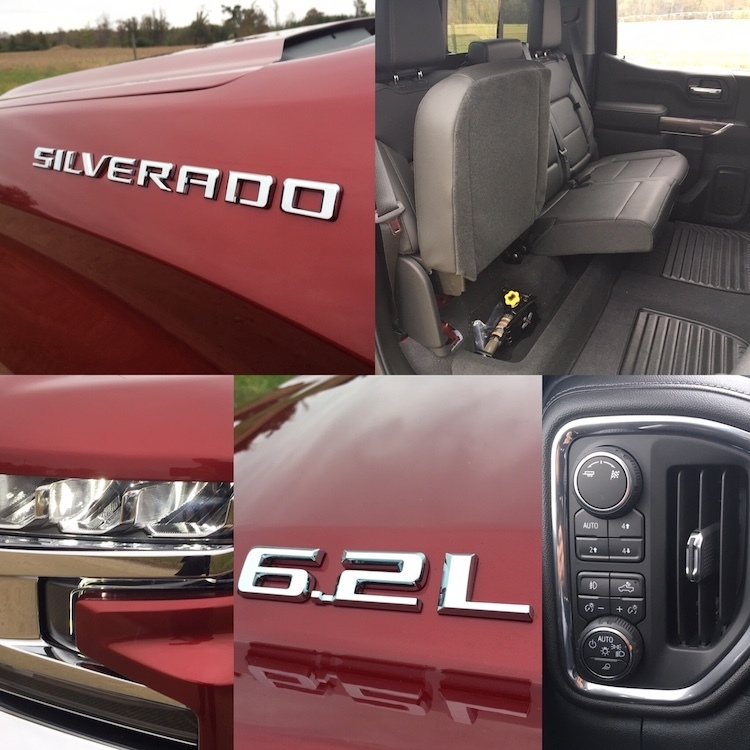 In short, the 2019 Silverado offers a familiar connection to the previous model, while staking out fresh terrain in several important areas that matter most to truck buyers. The Silverado is available in Regular, Double and Crew cabs. The 2019 Chevrolet Silverado is offered in Regular, Double and Crew cab body styles with standard two (rear)- and available four-wheel drive. 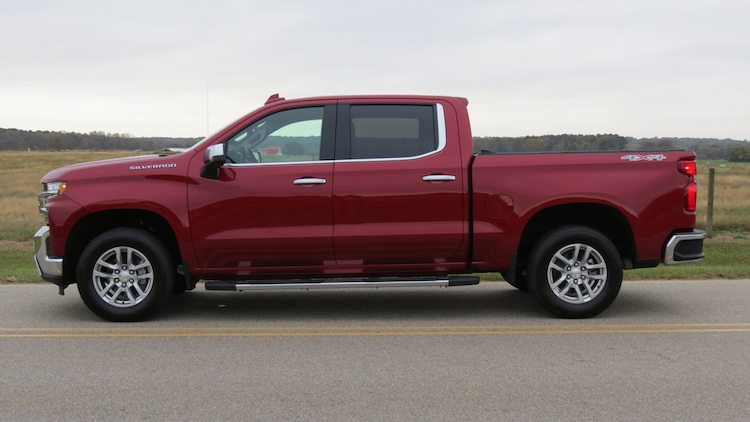 Yes, Regular Cab sales are measured in the single digits, so it is laudable that Chevrolet continues to offer this style even as one competitor (Toyota Tundra) no longer does. This means you can still get a two-door Silverado with an eight-foot bed — a model prized by some commercial or fleet operators. For 2019, Chevrolet offers the Silverado in Work Truck (WT), Custom, Custom Trail Boss, LT, RST, LT Trail Boss, LTZ and High Country trims. The Regular cab models have the 8-foot box, the Double Cab comes with a 6-foot, 6-inch box, while the Crew cab offers either a 5-foot, 8-inch or a 6-foot, 6-inch box. You can get a 2019 Silverado for as little as $29,795. But that price gets you a regular cab work truck with a V6 engine and rear-wheel drive. Our auto trends analysis of the market reveals that most buyers opt for a four-door model with a higher trim point and a selection of packages. Thus, it is easy to understand when manufacturers claim transaction averages are well above $40,000. For our (and your) amusement, we played with the Silverado configurator to figure out just how expensive a new Silverado might cost. The top-end High Country was our choice with its Iridescent Pearl Tricoat ($995) finish, High Country Premium Package ($4,685), Performance Upgrade Package ($2,150), Technology Package ($1,625), and a nifty trifold hard tonneau cover as found on our test model ($1,100). The net price was $71,145, but that came in before the usual discounting. Regardless, it is possible to take home a Silverado with an out-the-door-price exceeding $65,000. Handsome debossing graces this LTZ model’s tailgate. Typically, Auto Trends reviews a model by focusing on the exterior, interior, safety and technology, and performance attributes before concluding with a model overview. But the Silverado is such an important vehicle to Chevrolet (it outsells every other model by at least two-fold) that we’re taking a different approach here. Specifically, a look at seven of the highlights that define Chevy’s full-size pickup truck. 1. Slightly larger, but lighter. We’ve seen full-size pickup trucks grow through the years. The fourth-generation Silverado is no exception. 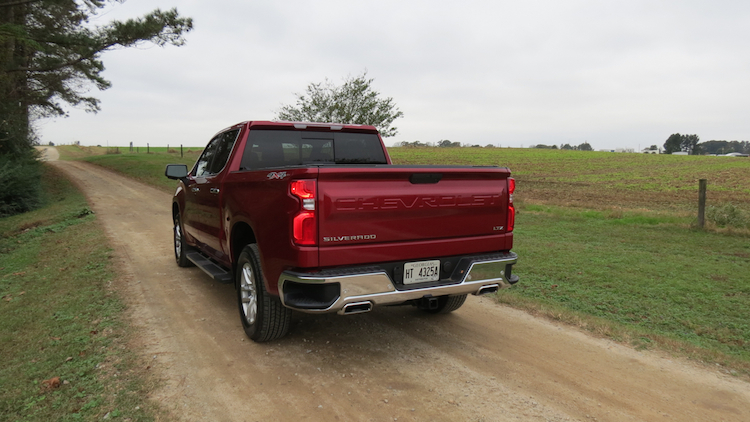 Not only did some models gain nearly four inches between the wheels and all are now slightly larger, but the new Silverado also lost as much as 450 pounds. Credit must be given to advanced manufacturing techniques and the greater use of mixed materials. The body remains steel-intensive (as is the fully boxed frame), but torsional rigidity is up by 10 percent too, which aids in control. 2. The engine choices expand by two. Chevrolet could have left well enough alone with its engine line up, but then it would have trailed its top competition, namely Ford and Ram. So this year Chevy added two new engines while refreshing its existing choices. The 4.3-liter V6 returns as do the 5.3- and 6.2-liter V8s. This trio has served Chevrolet well for many years and are now third-generation versions. Among the three, the 5.3-liter engine is now available in two variants — including with active fuel management (AFM), whereby four cylinders are shut down under certain circumstances. You’ll also find a version of this engine equipped with direct fuel management (DFM) and automatic on/off. This particular version utilizes 17 cylinder activation combinations for performance and efficiency optimization. The same technology is now standard on the big 6.2-liter engine. You’ll find more engine choices with than before with the new Silverado. But the biggest news may have everything to do with the Silverado’s expanded engine choices, which now include a four-cylinder gas and an inline-six diesel engine. Before you get your knickers in a wad, neither new engine is ordinary. Indeed, both utilize forced induction, specifically turbochargers. The four-cylinder gas engine is a big surprise as it is the first time a full-size truck has utilized just four cylinders. It isn’t the standard engine either — you need to opt for it. In any case, it makes 310 horsepower and 348 pound-feet of torque. That’s more than what some V8s made a generation ago and easily matches most of today’s naturally aspirated V6 engines. The other new engine choice is something we long expected — a 3.0-liter inline-six turbo diesel, which matches the displacement of similar Ram and Ford truck engines. We don’t know a whole lot about this engine yet — it is a late arrival, but it will be available in the 2019 model year. We think it will match the 240 horsepower and 420 pound-feet of torque reached in other Chevrolet models, including the midsize Colorado truck. 3. You’ll find multiple transmission offerings. Why have just one transmission offering when you can have three? Well, the three choices with the 2019 Silverado correspond roughly with your preferred engine of choice. The standard V6 engine comes with a six-speed automatic. The 5.3-liter V8 has a standard six- or available eight-speed automatic, depending on which engine choice you make: AFM or DFM. The eight-speed also works with the turbo four. Choose either the big 6.2-liter V8 gas engine or the power-intensive 3.0-liter turbo-diesel inline-six and your engine works with a 10-speed automatic transmission. 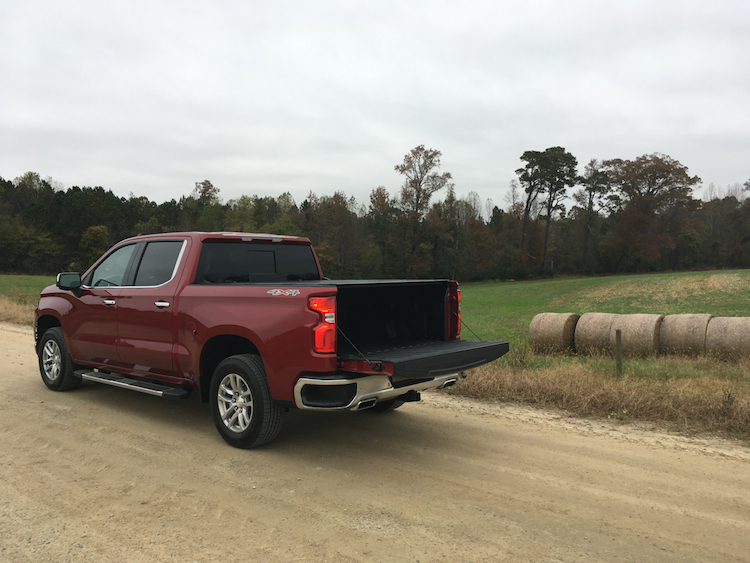 My test model was the 2019 Crew Cab LTZ with the big V8 and accompanying transmission. I’ve tested Silverados before as equipped and the current iteration remains faithful to the performance capabilities you expect. In other words, you’ll find full-on power at the ready and the towing capabilities to go with it. These are two important criteria for any burly pickup truck. The Silverado most definitely excels in these areas…but that’s really no surprise. 4. Several new design elements are apparent. I’ve already mentioned the changes to the Silverado are more evolutionary than they are revolutionary. But the most apparent change is right up front with the fascia. It is as bold as ever with its squared edges, lots of chrome, and full LED lighting (headlights, fog lights, and tail lamps) from the RST trim on up. It has a look that is at once brawny as it is elegant. The rest of the body has a blocky look along with upright pillars and edges. You’ll find other trim differences between models. For example, the work truck has blacked-out touches along with a “Chevrolet” graphic across the grille and on the tailgate. The “Chevrolet” debossing on my test model’s tailgate was a nice touch. Inside, the cabin ranges from basic fare to upscale. The work truck has vinyl seats, while cloth seats are found in most trims. Move up the trim range and you’ll find leather-trimmed seats available. Otherwise, the cabin is more functional than it is lavish, but that’s still a good thing. Most of the controls are familiarly placed, easy to decipher and not a chore to use. The squared off look dominating the exterior translates well to the interior. Some of my favorite features included the clean center stack with the big open area at the base. It is large enough to hold a cell phone and a small purse. I also like that a cutout is located on top of the armrest/storage compartment and is large enough to hold your cell phone. The dual glove box design is a welcome feature too. Lots of storage compartments are found inside the Silverado. 5. Tech features we like. I’ve long liked the direction Chevrolet has taken with its technology, especially with the infotainment system. The first three trims have a 7-inch screen; the remaining five trims have an 8-inch screen. All models have both Android Auto and Apple CarPlay smartphone compatibility and that’s not something every competitor can claim. The Silverado’s app-like interface is easy to use. When you connect your phone, either the Android or Apple “app” brightens, making it a standout among other apps. All models provide 4G LTE hotspot connectivity with one month free. This is especially useful for anyone who uses their truck as a mobile office. Importantly, Chevrolet expanded its safety features this year. A Safety Package is available on the LT trim on up (standard with the High Country) and includes front and rear park assist, lane change alert, side blind zone alert and rear cross traffic alert. A Safety Package II is reserved for the LTZ and High Country trims. It builds on the standard package by adding automatic headlamps, forward collision alert, lane keep assist with lane departure warning, low-speed automatic braking, front pedestrian braking, following distance indicator and a safety alert driver’s seat. 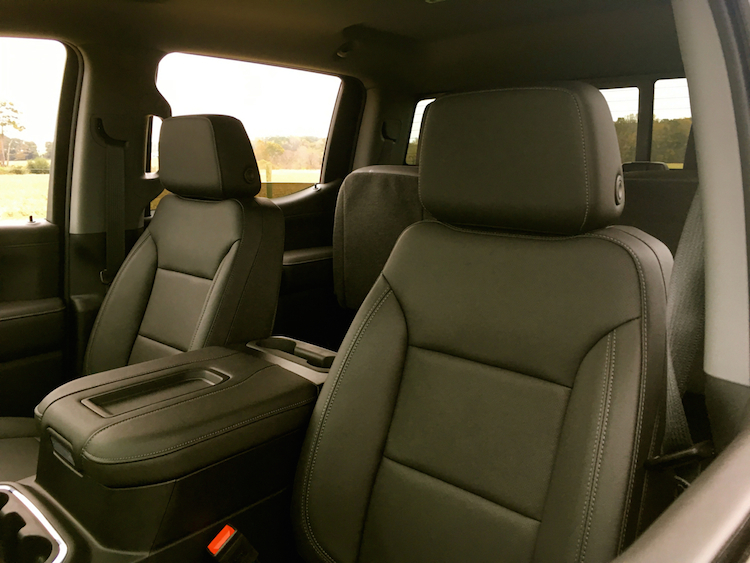 The 2019 Silverado has comfortable and available front bucket seats. 6. It has the big numbers we want. I’m a frequent visitor to local outdoors destinations, including the boat ramps of Jordan Lake. The area is serene and beautiful and serves as the ideal photo shoot backdrop. Through the years, I’ve paid close attention to the vehicles dropping boats into the water. A recently spotted Toyota Sienna van was an unusual visitor, but it managed its skiff with ease. Most of the vehicles are neither minivan nor SUV. You’ll find a large number of pickup trucks on hand and chiefly of the full-size variety — light- and heavy-duty versions both. Typically, they’re pulling far larger boats weighing several tons. “Numbers” matter when it comes to trucks. And not just horsepower, torque, displacement, transmission gears or axle ratios. What’s critically important for people who haul and haul BIG are such numbers as payload capacity and trailering capabilities. 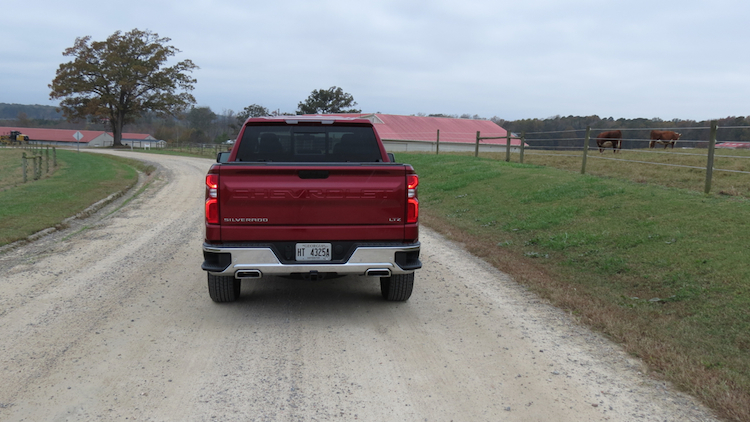 When it comes to the payload (a number that includes vehicle fluids, passenger poundage and bed weight), the Silverado ranges from 1,745 to 2,543 pounds. When it comes to towing, the Silverado reaches a maximum 12,200 pounds. These numbers enable vehicle shoppers to do a lot without upgrading to a heavy-duty (and more expensive) model. 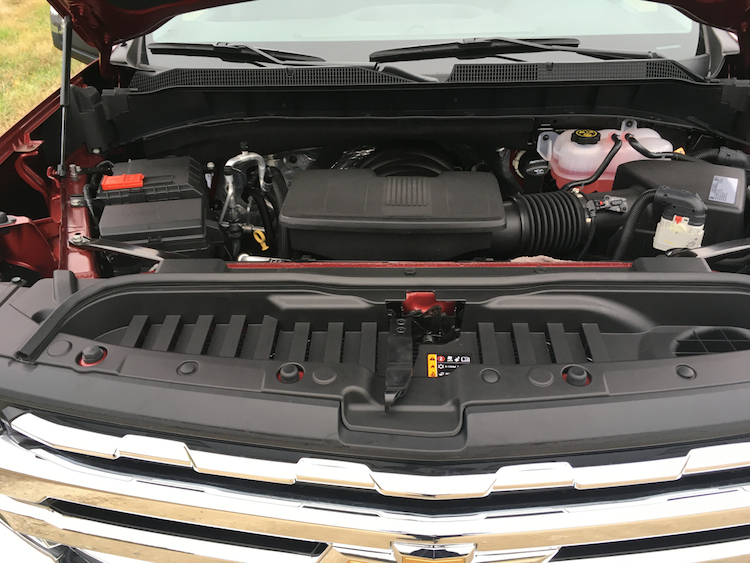 The LTZ and High Country trims have an automatic tailgate. 7. The Silverado can be a boss when it wants to. So what’s the buzz about the Silverado’s two Trail Boss models? They’re the models off-road purists will likely gravitate to. The Custom Trail Boss includes off-road equipment installed at the factory. You’ll find a locking rear differential, skid plates, Rancho shocks and 18-inch wheels set within Goodyear Duratec off-road tires. Moreover, this trim has a 2-inch suspension lift installed as well as the Z71 Off-Road Package (electronic hill descent control, a two-speed transfer case, and a heavy-duty air cleaner). If that’s not enough for you, then the LT Trail Boss may be the preferred option. It combines all the off-road benefits of the Custom Trail Boss and adds LT features, including chrome accents, LED lighting, an 8-inch touchscreen, and available leather seats. 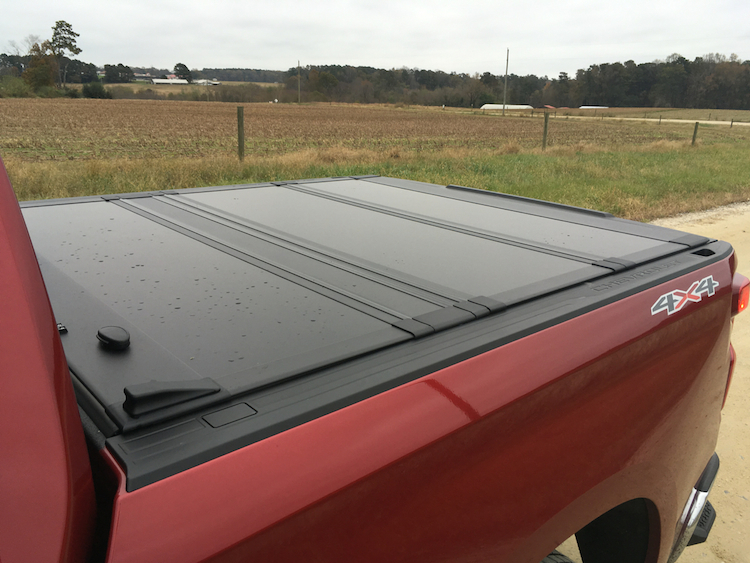 An optional tonneau cover opens in the front and rear. Chevrolet launched its “Like a Rock” truck ad campaign in 1991 and stayed with it until 2004. In those ads, Bob Seger’s voice crooned in the background as a voiceover explained the ruggedness and longevity of Chevy trucks. The campaign is long gone, but the sentiment remains. GM’s trucks (Chevrolet and GMC combined) remain the best sellers with light- and heavy-duty full-size models joined by midsize offerings, including the Chevrolet Colorado and GMC Canyon. Ford may have the best-selling model name, but when it comes to overall units, the General is on top. Pickup trucks were once mostly work vehicles, but we’ve seen them become so much more. In many households, they are the family vehicle of choice and are much desired for all that they do. The 2019 Chevrolet Silverado continues that tradition with a fresh look, an expanded powertrain lineup, and updated technologies just in time for a new century of Chevy trucks. Side step bumpers provide ease of access to the bed. 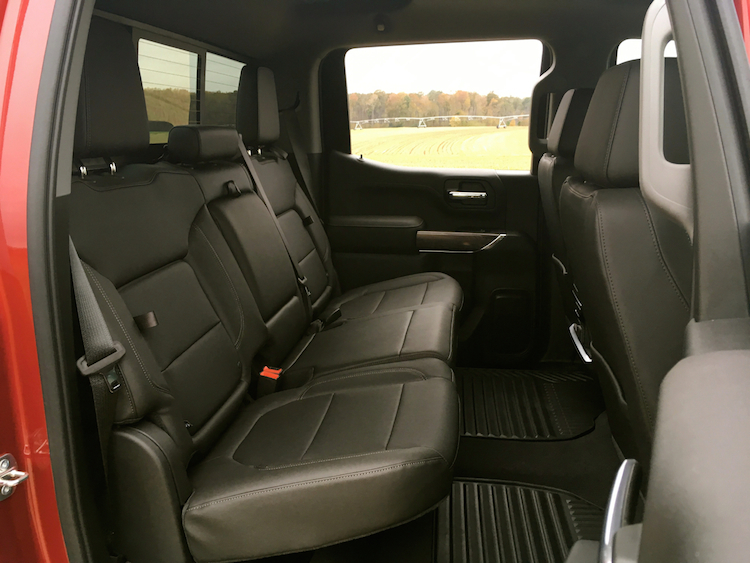 Up or down the rear seats go in this crew cab model. There is yellow and then there is Shock Yellow. When your “yellow” is brighter than the center stripe, this is what you get. We’re still two weeks away from the start of the 2018 SEMA Show, which has become the definitive auto show for all things wild and crazy. Just like its host city, Las Vegas. Automotive manufacturers routinely roll out one or more special models at SEMA, capitalizing on the massive media attention this event supplies. SEMA isn’t open to the public, but thousands of journalists give it ample coverage, so its almost like you are there. GM isn’t waiting for the show to start to tease us with one very special version of the 2019 Chevy Camaro. 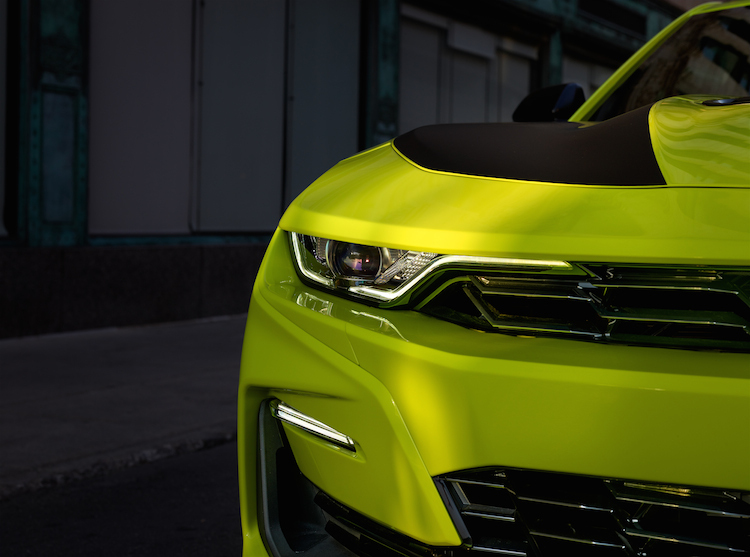 The Shock yellow exterior color lives up to its name, a can’t miss model that also includes several concept touches. Those touches include a relocated bow time emblem along with hood and fender graphics. Joining this special model (which will be available in early 2019) is a personalized Camaro LT convertible. The convertible will be shown in Satin Steel Grey Metallic and feature concept red accents and other accessories. Chevrolet will showcase more than a dozen models in total at this year’s show. The expanded roster of Chevrolet accessories and performance parts were developed by the same designers and engineers who created the Camaro, in an effort to supply coherent design and performance unification. You’ll find such features as all-new ground effects, a black wing spoiler, a fuel door with exposed carbon-fiber insert, black Camaro fender badges, 50-state-legal cold-air induction kits, Recaro seats, a Brembo six-piston front brake upgrade kit and various 1LE suspension components. 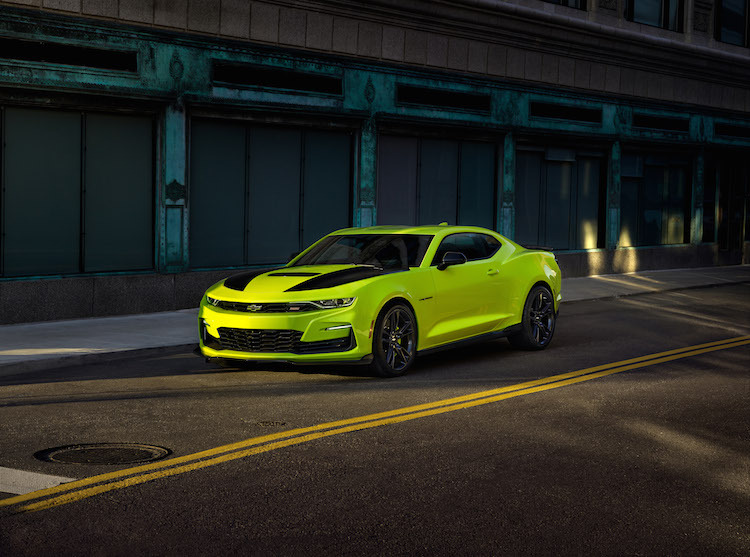 The 2019 Camaro refresh features new front-end styling on some models, including the fascia, grille, hood and lighting. The lighting upgrades include dual-element headlamps and new LED signature lighting. 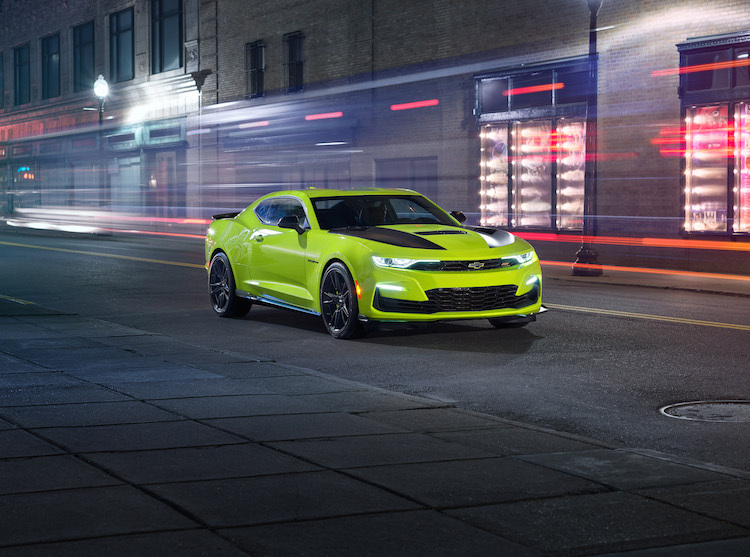 The ZL1 trim returns with its airflow optimized front-end styling, while the RS Package provides its own unique headlamps and signature lights. From the rear, the 2019 Camaro gains new tail lamps with a dual-element design. Red lenses are found on the LS and LT trims, with the RS, SS and ZL1 decked in dark-tinted clear lenses. Additional changes for 2019 include a new Turbo 1LE model. 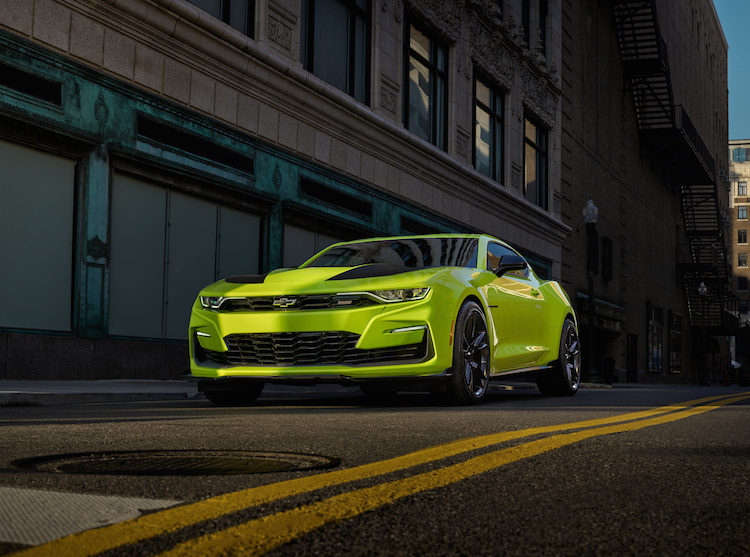 The Camaro SS now offers a 10-speed automatic transmission with pads shifters, launch control and line lock. Updated wheel designs, the latest in Chevrolet infotainment, an available full-display rearview camera and available forward collision alert round out the changes. Auto Trends won’t have a direct presence in Las Vegas this year, but we’ll share highlights and special takes about the 2018 SEMA Show. Word has it that several flamboyant models are on tap, but that’s par for the course in a city that is known for its glitziness. Photos copyright GM Corp. All rights reserved.